The Lloydminster Municipal RCMP is seeking the public's assistance in gathering information that may lead to the whereabouts of 44 year old Raymond Maxwell DEWLING. Raymond was last seen on August 22, 2013 as he was heading westbound out of the City of Lloydminster. 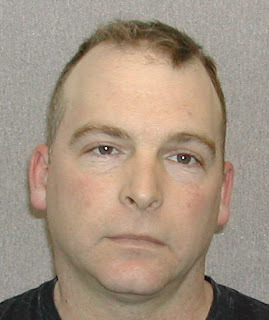 Raymond was seen driving his 1999 Blue Honda CRV bearing a Newfoundland plate of HME467. Raymond is described as being approximately 5'9" tall, average build weighing 180 pounds. He has short brown hair and is usually clean shaven and well dressed. Raymond was last seen wearing blue jeans, a plaid shirt, a white DC ball cap and Nike shoes. If you have information about this or any other crime, please contact Lloydminster RCMP at (306) 825-6350, your nearest police service or any local RCMP detachment. If you wish to remain anonymous you may call Crime Stoppers at 1-800-222-TIPS (8477), via your cell phone text messaging to Northern Alberta Crime Stoppers at TIP205 plus your Message CRIMES (274637), through Sask Tel Mobility at *8477, text TIP206 plus your message to CRIMES (274637) or you can submit a tip online at www.crimestoppers.ab.ca. With the expected increase of traffic flow on the QE2 highway, surrounding area, and in the City of Leduc over the long weekend, the RCMP, Leduc City and County Enforcement Services will be increasing their presence and continued enforcement objectives. According to Cpl. Alex DaSilva of the Leduc Integrated Services Unit, their priorities this weekend will include but not be limited to; Impaired driving, careless driving, distracted driving and seat belt compliance. Cpl. DaSilva explained that the Leduc Integrated Traffic Services Unit with the assistance of the Wetaskiwin ITU and Leduc Enforcement Services began their Long weekend campaign with a joint enforcement blitz in the Leduc area on Thursday August 29th, 2013. This Blitz yielded over 152 traffic charges being laid. The majority of the charges were for distracted driving, which numbered 53, there were 33 speeding related charges and 37 seat belt related charges. The Leduc RCMP and Leduc Integrated Traffic Services Unit are “Dedicated to Improving Public Safety on Our Roadways” over this long weekend. Enjoy the weekend but remember to drink responsibly, drive defensively and - stay safe ! On August 29, 2013 at approximately 4:40 p.m. Blackfalds RCMP were dispatched to a double fatal motor vehicle collision on Highway 595 approximately 8 miles east of Red Deer. Red Deer County Bylaw and Emergency Services, the RCMP Collision Analyst and the RCMP Innisfail Traffic Services also attended the scene. As a result of investigation and witness statements it is believed that a 1999 Buick Century was westbound on Highway 595 and veered over into the eastbound lane narrowly missing one vehicle, that swerved out of the way, and then collided head on with a 2005 Volvo XC70. Both vehicles came to rest on the highway. Members of the public came upon the collision and rendered first aid. The 49 female driver of the Volvo and the 29 year old driver of the Buick Century died on scene. A 22 year old female passenger from the Buick Century was taken to Red Deer Regional Hospital and then flown to the Royal Alexander Hospital in Edmonton with life threatening injuries. RCMP Blackfalds are continuing the investigation. It is unsure if alcohol or distracted driving was a contributing factor in this collision. Speed did not appear to be a contributing factor. Highway 595 was shut down for four hours while emergency service completed their work and the RCMP continued their investigation. Further information will be released once it becomes available. Whitecourt, Alberta - On August 30, 2013 at approximately 5:00 am, Whitecourt RCMP officers responded to a Break and Enter in progress at the Eagle River Casino on Highway 43 north of Whitecourt. Upon arrival RCMP discovered a vehicle had rammed into the glass doors of to the casino, causing significant damage. The driver fled the scene in his pickup and the pickup suspected to be involved in this incident was recovered a short time later. No bystanders were injured as a result. Sometime between August 9th, 2013 and August 27, 2013 unknown individual(s) enter a farm yard approximately 12 km south of Lomond and entered into a building on the property and stole an unverified amount of copper tubing and 2" copper fittings. The culprits took a great deal of time to strip the aluminum fins off the tubing leaving debris scattered in the yard.